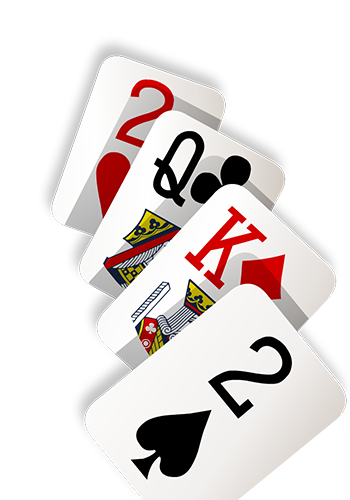 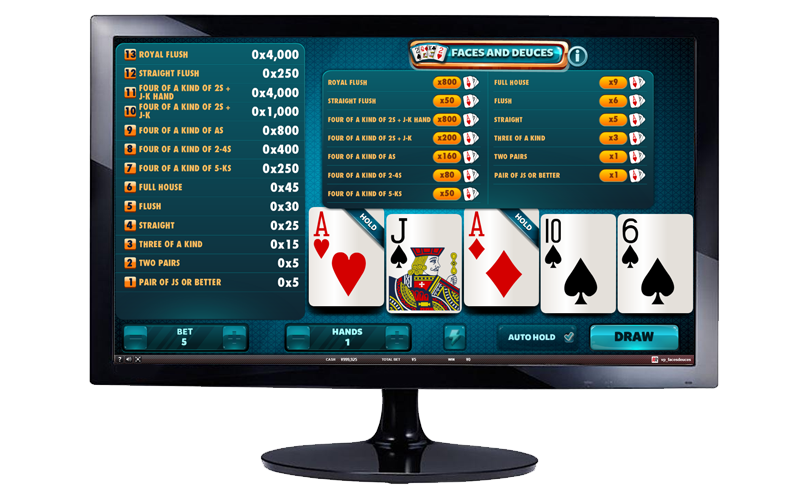 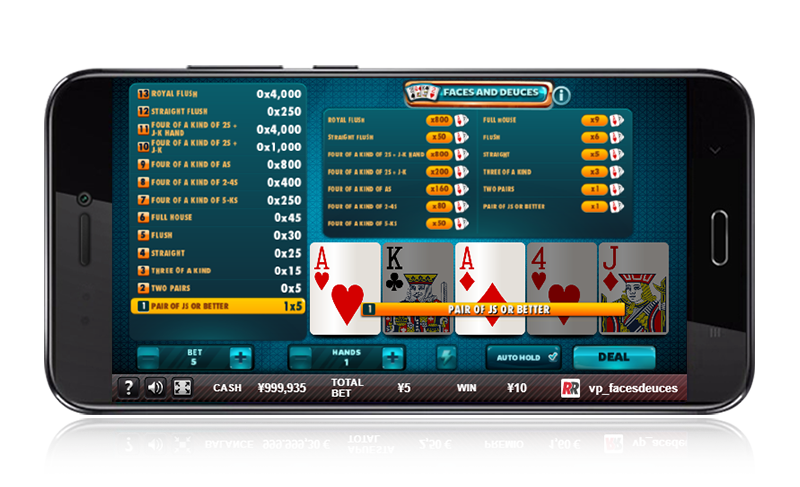 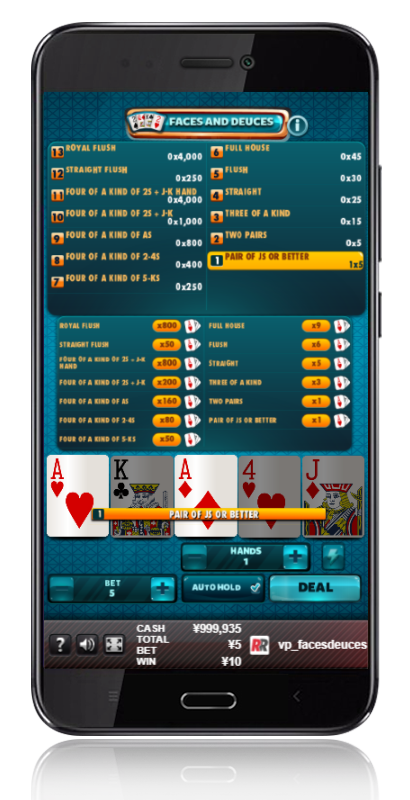 An entertaining variety of Video Poker where you will have to seek the Four of a Kind of twos plus a J, Q or K card in order to win the biggest prizes. 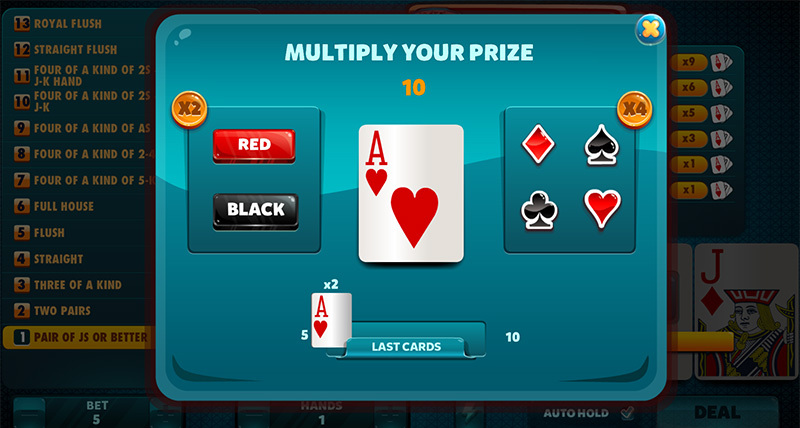 In this case, any hand equal to or higher than a pair of Ks will have a prize. 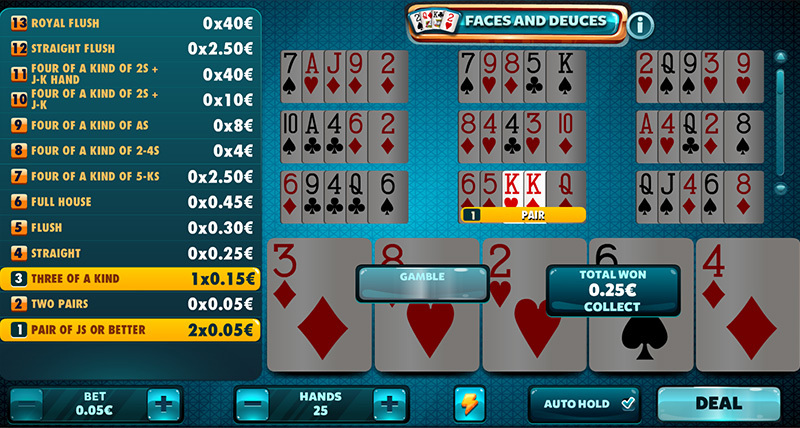 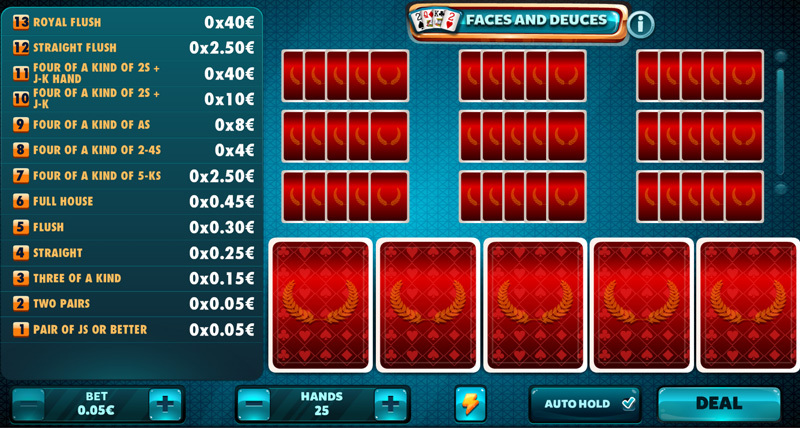 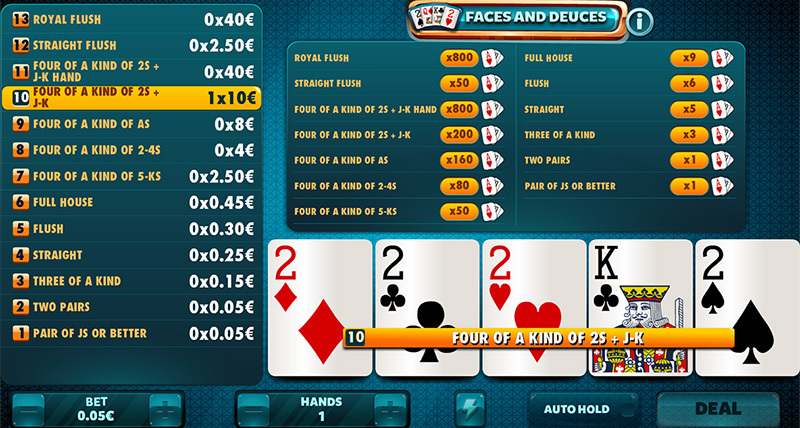 Faces and Deuces: Try to obtain the Four of a Kind of twos in order to win the biggest prize. 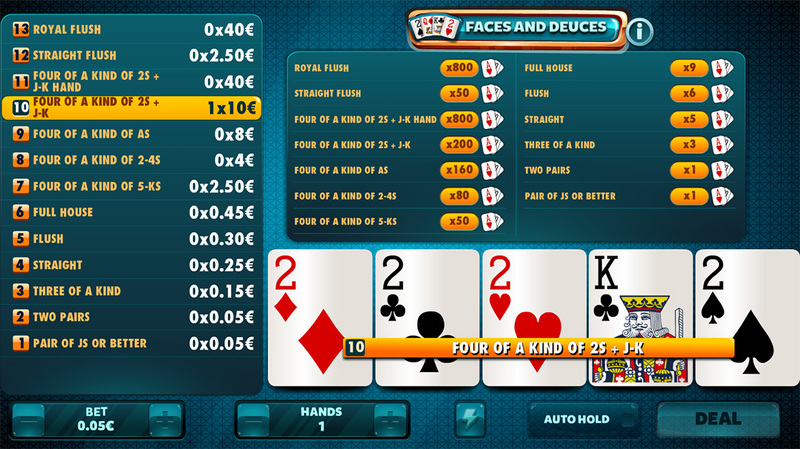 Faces and Deuces: Any hand equal to or higher than a pair of Ks will have a prize.